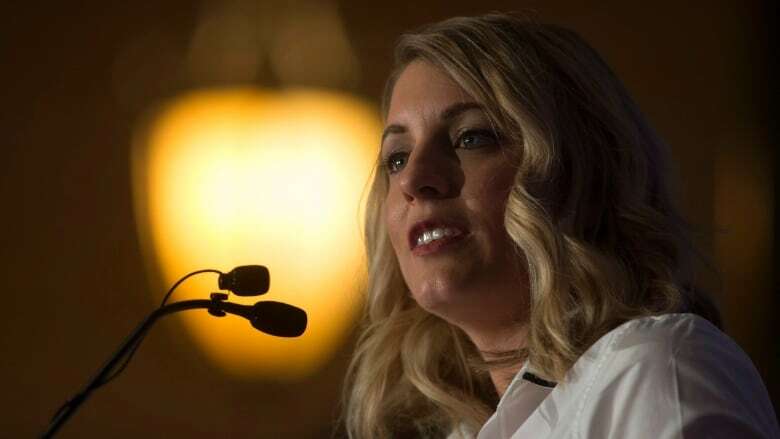 Heritage Minister Mélanie Joly laid out her plan for a revamped cultural policy Thursday, detailing what she thinks Canadian content and cultural industries should look like in the digital world. More federal money is coming for Canadian cultural productions and exporting them abroad, Heritage Minister Mélanie Joly says. But Ottawa is looking for big global tech players like Netflix and Facebook to chip in, too, she said Thursday. She detailed some of her plans during a lunchtime speech in Ottawa, including securing a $500-million pledge by Netflix to fund Canadian productions over five years and to build a permanent production presence in Canada. Joly touted it as the biggest investment in Canadian content in the last 30 years from a foreign company. And she said Facebook is teaming up with Toronto's Ryerson University to fund a digital news incubator there. "This is a welcome first step," she said of the Facebook collaboration. "Our intention is to foster many more." It's all part of Joly's revamped cultural policy, outlining what she thinks Canadian content and cultural industries should look like in the digital world. It comes after months of public consultations, held last year. A federal boost to the Canada Media Fund as of 2018, countering the drop in money from the private sector. Spending $125 million on a creative export strategy, which includes launching an export fund to get Canadian creators recognized abroad and starting a Creative Industries Council. Updating funding programs like Canada Music Funding and the Canada Book Fund. Reforming the Copyright Board of Canada and reviewing the Copyright Act, with an emphasis on protecting the rights of creators. Joly said the Liberals will also launch a review to help update the Broadcasting Act and Telecommunications Act, something that hasn't been done in about 30 years. With all the talk about Netflix, Joly reiterated that the Liberals would not impose a Netflix tax. "We know that access and affordability of internet and wireless are real issues for many," she said. "We pay some of the highest rates in the world." 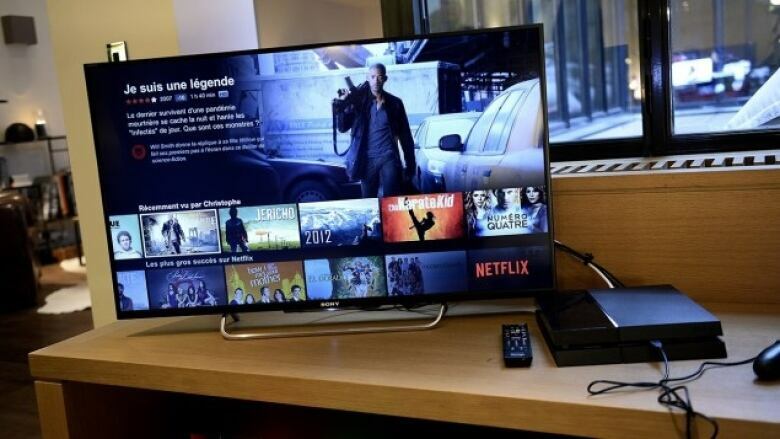 But there has been a bump in how much a Canadian Netflix subscription costs — something Netflix said is not related to the new $500-million investment. Many in the cultural sector had hoped to see new broadcasting players like Netflix and YouTube become subject to the formal regulatory landscape for Canadian companies, which would require them to air certain levels of Canadian content and contribute financially to a fund to help develop it. That didn't happen. Bell Media complained the Netflix contribution "will be a fraction" of what it has to pay and asked for a "level playing field for all participants." And though Joly didn't mention Bell directly in her speech, she did bring up the role news outlets and broadcasters including the CBC should play in promoting Canadian culture; reiterating her support for a "strong public broadcaster." In their 2016 budget, the Liberals promised $675 million over five years in new funding for the CBC. She touched on the difficulties and lack of funding elsewhere in the media industry, but didn't announce any new money. Canadian newspaper publishers have suffered as advertising revenues have fallen over the past decade, but there was no sign of help from the government. "Our approach will not be to bail out industry models that are no longer viable." Instead, she said, she would support innovation and experimentation at these outlets, and that includes the switch to digital. "If we get this right, we will be a leader in the world," she said in closing. Is this a 'one off'? Cultural creator organizations were optimistic after hearing the announcement, with the heads of the Director's Guild of Canada, the Canadian Media Producers Association, the Writers Guild of Canada and the Alliance of Canadian Cinema, Television and Radio Artists (ACTRA) all giving their approval. But there were unanswered questions, too. Parts of the plan are vague in saying how they will actually be implemented. Filmmaker Kevan Funk, who put out Hello Destroyer last year, found the whole announcement "underwhelming." "There's not much policy in this policy announcement and I think that is problematic because policy is a more concrete way of making some of these things more permanent," he told CBC News. "I have a heavy degree of skepticism that a lot of people that they are counting on to execute that are obviously just going to act in their most immediate interest." Others are concerned about the Netflix deal in particular. There's uncertainty about how that investment will be spent and what it means for French-language content. It's not yet clear who will get to use it to create programming with Netflix. "It's a step that Netflix has agreed to take and that's wonderful and we welcome that investment," said David Sparrow, the president of ACTRA's national organization. "[But] we need to create a level playing field that all our broadcasters and independent producers can benefit from, including Netflix and Hulu and Amazon Prime." Quebec filmmakers ask: What does Netflix investment mean for French-language content? Brian Baker, the head of the Directors Guild of Canada, put it more bluntly. "Are we talking about Canadian programming, or American shows shot in Canada with American talent in all the top creative functions?" he said in a statement. "Is this Netflix announcement a one-off, or the first step towards a real policy?" Is Canada getting a 'raw deal' in its partnership with Netflix?